The Neffos X1 Lite is the phone that get the essentials done, apart from the smaller screen size and storage, there isn’t anything that I’m truly unsatisfied with, it has reliable software and performance, a camera that I could really use for Facebook and Instagram uploads, all of this for the price of RM499 and a 2-year warranty makes it really attractive in the entry-level category and one phone that you won’t hate. Positive: Low price; support waterproof and dust avoiding; nice design; fast fingerprint sensor. Negative: Useless microSD card when installing games or apps. Positive: Solid workmanship; high performance; fast fingerprint sensor. Negative: Mediocre speakers; weak hardware; poor display; no NFC. TP-Link is best known for its wireless routers and networking devices. Not many people know that the company has decided to produce smartphones, too. 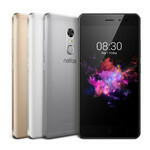 The TP-Link Neffos X1 Lite is a suitable choice for essential smartphone needs, such as making phone calls, browsing the internet, or social media, as well as for people who do not want to spend a lot of money on a smartphone. For starters, the Neffos X1 Lite has an aluminum build, which is great, it feels compact due to its 5-inch display, and the sides are slightly tapered to offer a good grip. TP-Link has equipped the X1 Lite with a fast and reliable rear fingerprint scanner that beats many entry-level Android devices. The TP-Link Neffos X1 Lite is available in two color variations, namely Cloud Grey and Sunrise Gold. The smartphone has a 5-inch screen with a 720p HD resolution (1280 by 720 pixels, pixel density of 293.7 PPI). The display uses IPS (In-Plane Switching) technology, so the viewing angles are wide and the colors should be close to natural, although not as vivid as on AMOLED displays. The screen is protected by 2.5D scratch-resistant curved glass. On the inside, the TP-Link Neffos X1 Lite is powered by an eight-core Cortex-A53 processor running at 1.5 GHz on a MediaTek MT6750 chipset. The video part is handled by a Mali-T860MP2 graphics chip running at 520 MHz. As for memory, the smartphone has 2GB of RAM and 16GB of internal flash storage. Users can expand the storage by adding a microSD card with a maximum capacity of 128 GB. The rear camera found on the TP-Link Neffos X1 Lite has 13 megapixels, an f/2.0 aperture, phase detection autofocus, and dual-LED flash for low light conditions. On the front, there is a selfie camera with 5 megapixels and a 84° wide-angle lens. It would do just fine for beautifying facial features a little. TP-Link happened to issue a software update during the review period to include a Pro mode, which gives users a good amount of control over photos. Though it does not allow live previews of a photo, users do get a great ISO range (up to ISO 3000) and slow shutter speeds of up to 1/4 seconds. The Neffos X1 Lite ships with Android 7.0 and TP-Link’s proprietary launcher, which is simply called NFUI. Although the user experience is not as sophisticated as with Xiaomi’s MIUI or Huawei’s EMUI, TP-Link does not preinstall any bloatware and keeps most of the UI elements close to stock Android. The TP-Link Neffos X1 Lite gets its autonomy from a built-in non-removable battery with a capacity of 2550 mAh.